My favourite pastime at the moment is trawling through Kmart hacks. In no way am I associated with Kmart nor do I work there, I’m just enjoying the eye candy provided by the merchandise buying department (sorry, I don’t know their official title). There are loads of social media sites popping up, sharing finds, hacks, styling etc. Members are uploading their ideas and contributing to the site, exciting each other to no end. I too am one of the said excited members. I’m not sure what’s happened in the Kmart merchandise buying department and who’s responsible for the change in direction, but I’m pleased. I suppose the fact I love this type of styling helps (as well as the contradictory shabby chic style), for others this new direction may leave you uninspired. 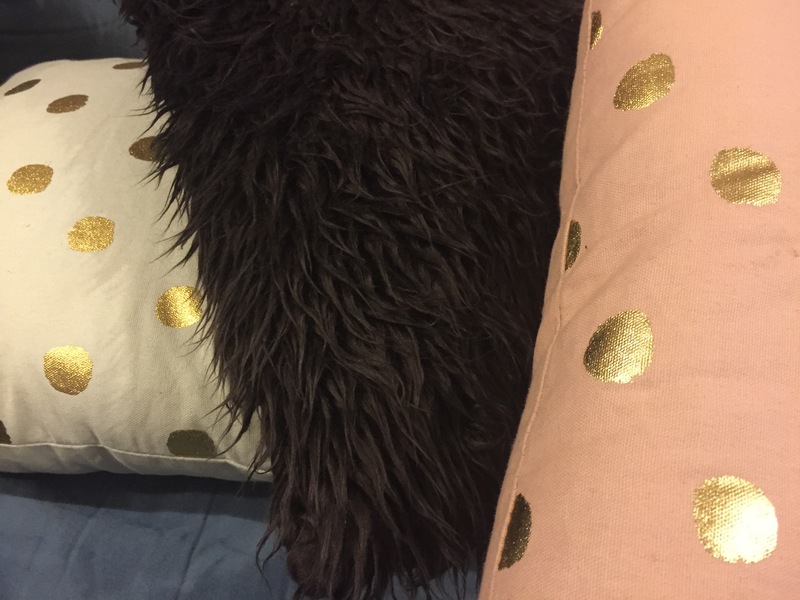 If you’re not sure if this current popular style trend will suit your home or is to your taste, the cheaper versions available at Kmart won’t hurt your pocket too much if you get it home and looks shocking and it’s not for you. I’m sure there will be a friend who will be happy to take if off your hands. The clever people who customise items for their room have very creative minds. A little paint or wasabi tape has many transforming properties and has inspired me just now to search for some metallic paint for this hurricane lamp I purchased. There is always the important issue of safety and recognising what can safely be modified. 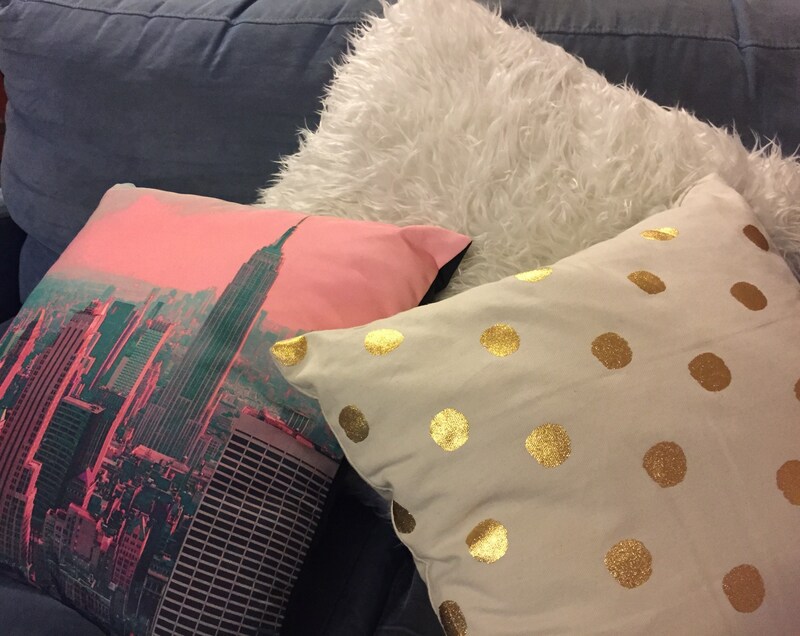 I recently acquired some new cushions for my tired lounge. They have successfully spruced it up a little while I save for another. I had eyed them off for a while, I was excited when I eventually purchased them and more than happy with my selection once I got them home and onto the lounge. Then I went on a lighting binge after my youngest son was having issues with his bedroom being so dark when he went to bed. 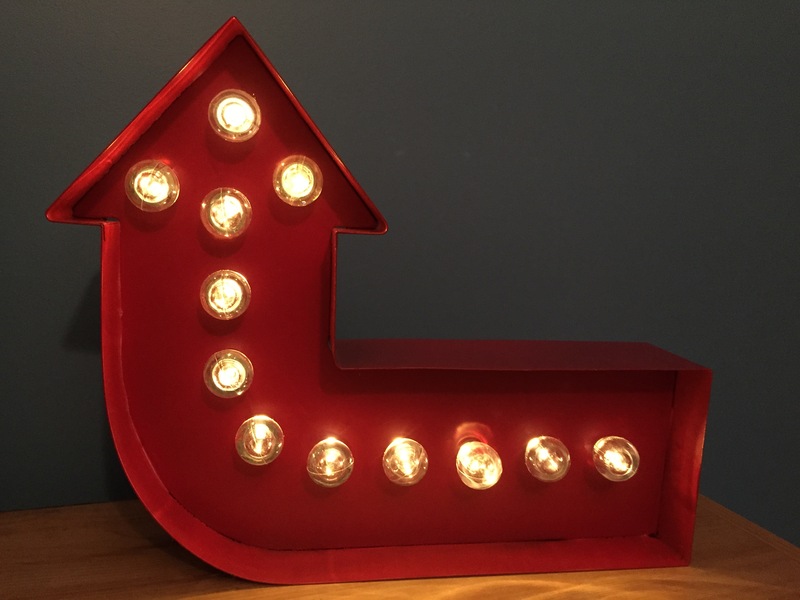 This gorgeous arrow lamp below has put his little mind at ease. It looks cool turned on and off. My other son also benefited from the little trip with a new lamp for his room as well, only because they were so cheap and the colours available are so on trend. Then…. our lounge room benefited, what can I say? I might be a little addicted to my favourite Kmart related social media sites still, looking at what people have found at their local store and their styling ideas I will admit. Members agree that not all items are available in all stores, so information is shared. I find it interesting my local Kmart store doesn’t have as much choice as another store a little further away, so I often go that extra distance when I’m on a mission and don’t want any mucking around. In defence of my interest in Kmart hacks, I must say that I’m not in an area that receives shopping catalogues in the mailbox. My lovely work mates bring their catalogues in for me… yes, yes, yes they do! I do love a good paper catalogue and yes I know they’re available online but it’s just not the same. I love seeing how a simple item can be hacked so many ways, styled for any gender and shared by people all around the country to little old me! Now you can’t find that in a catalogue.